Easy OST Conversion – Easiness Redefined! (1) With a multi-user Microsoft Outlook and Exchange Server email environment, has all the email data of all users in your network been stored in OST files? (2) Unluckily, has your Exchange Server got damaged; due to which, you have you lost access to all your crucial OST files? (3) Has this unfortunate occurrence projected your concentration towards Outlook OST file recovery tools and has this search brought you here? (4)You will be glad to know that your search will end here as we provide you an expert yet highly easy-to-use OST conversion tool. FULL Version – Complete Outlook OST File Recovery: If OST Conversion if what you need, then an expert Ost conversion solution is what we provide you. 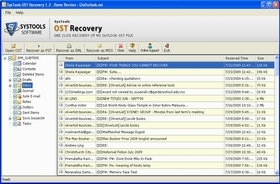 You can get the Full Licensed Version of OST Recovery software at a very decent price! 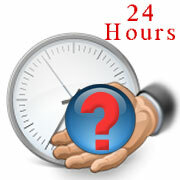 We want to provide you with expert solution at a very small price, so that, you completely enjoy using our software. Using the full version, you can perform complete Outlook OST file recovery as this version if fully functional. Copyright © 2012-2019 Convert OST. All Rights Reserved.